ZHUJI, China — One of the most feared men in the worldwide pearl industry these days is a muscular, Ferrari-driving 40-year-old who is doing the improbable: growing pearls that are nearing the highest quality and may be affordable for middle-class Americans. The man, Zhan Weijian, runs a large company in the emerging capital of the world’s freshwater pearl farming industry, and it is far from Tahiti and other traditional saltwater pearl havens in the Pacific. Mr. Zhan works here in east-central China, where his white pearls cost a fraction of the saltwater variety. Wholesale prices for half-inch white pearls have fallen about 30 percent in the last several years, as the influx of high-quality Chinese farmed pearls — grown in former rice fields — has the industry in turmoil. For two decades, China has been the world’s biggest pearl producer, flooding the market with small and cheap pearls of costume-jewelry quality. But now companies like Mr. Zhan’s are using new techniques to push into the lower reaches of the market for half- to almost one-inch gem-quality pearls. “Competition from China has hurt, there’s no doubt,” said Robert Wan, whose company, Robert Wan Tahiti, dominates the production of Tahitian pearls, which are cultured in mollusks in saltwater and help set the world quality standard. China’s pearl industry is a microcosm of how the country is moving beyond low-wage jobs and imitating foreign producers. Pearl farms, like other businesses across China, are starting to innovate and automate as wages surge, particularly for blue-collar workers. “The U.S. has worried about China producing cheap goods — they really should be worried about China producing better goods,” said Bruce Rockowitz, the chief executive of Li & Fung, the largest trading company supplying Chinese consumer goods to American retail chains. A Chinese half-inch pearl now sells for $4 to $8 at wholesale, which is typically less than half of the retail price. A Tahitian pearl of similar size sells at wholesale for $25 to $35. The price gap reflects lingering differences in hue and luster. It does not take a jeweler to discern those differences when Chinese pearls are placed next to saltwater pearls. Joel Schechter, the chief executive of Honora, one of the biggest Manhattan-based importers of Chinese pearls, recently walked into the steel vault at his offices just off Madison Avenue and selected two costly strands of some of his best, blemish-free, half-inch pearls. The strand from Tahiti, with a wholesale price of $14,000 without the clasp, gleamed silvery white in his hand. 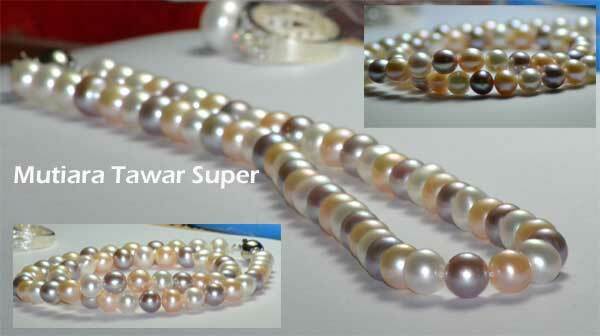 Next to it, a strand from China also glistened with perfectly round, blemish-free pearls, but they had a more chalky hue. Mr. Zhan, the man who has grown ever richer on cheaper pearls, is chief executive of Grace Pearl, one of the largest companies in Zhuji, a town in Zhejiang Province. Grace grows pearls in Zhejiang and, as real estate and labor costs have risen, also in inland Jiangxi, Hunan, Anhui and Hubei Provinces. Mr. Zhan picked up a visitor to Zhuji in his chauffeured brown Maserati Quattroporte sedan. “When I drive myself, I prefer the Ferrari 360, it’s more fun,” he explained on the way to dinner. The meal included a soup made from wild lake turtle, a delicacy that has become increasingly rare. More people in this part of China can now afford the delicacy, and that has led to overfishing. While he was happy with the reception Grace’s half-inch white pearls were receiving, Mr. Zhan seemed more proud of an innovation he called Edison pearls — orbs that come in vivid purple, pink and bronze, bright hues seldom seen before except in dyed pearls, and in sizes of up to three-quarters of an inch. Although he and Grace closely guard their techniques, Mr. Zhan said they saw the Edison as emblematic of the growing scientific and technological sophistication of Chinese pearl making. He named them for Thomas Edison, even if it seemed a back-handed homage. Grace has been working closely with Zhejiang University in an effort to sequence the entire genome of the mussels that freshwater pearls are grown in, hoping to use the information to develop even better pearls. Mr. Zhan refused to identify which of his pearl farms were raising Edisons, except to say that none was near Zhuji, where information tends to spread quickly to competitors. Zhan Yi, a senior Grace executive, stood next to a placid pearl pond near Zhuji the next morning and watched as workers earning $15 to $23 a day sat on benches at a long table. Using tweezers, they inserted tiny pieces of mussel tissue inside live mussels’ shells. The pearls develop around the tissue and may take four years to reach full size. For Edison pearls, mussels selected through genetic research are implanted with tiny beads instead of mussel tissue, Zhan Yi said. The beads are inserted through a special method that the company will not reveal. Companies like Grace are turning to automation because labor can add up to a third of the cost of raising pearls and then matching by hand literally tons of pearls by size, color, shape and blemishes. Blue-collar wages have nearly doubled in Zhuji and some other coastal areas in the last three years, as fewer young Chinese are willing to settle for the monotony of factory life, choosing to attend universities instead. What is more, older pearl workers frequently lose the necessary skills and are quickly disappearing. “They work until they are 37 and then their eyesight goes” from years of squinting at pearls under fluorescent lights, said Qiu Xian, the research director at Grace. Mr. Qiu showed off experimental armoire-sized sorting machines that he had designed. Each machine drops a pearl every few seconds and photographs it from several different directions as it falls. The machine instantly evaluates the photos, then catches the pearl and assigns it a trough to roll into a bin of similar pearls. Each of the machines can run 24 hours a day, Mr. Qiu said, and will replace 15 workers. China is the largest producer of cultured pearls in the world. But pearl farmers are now raising questions about their future as they are facing increasing ecological problems and are being excluded from industrialization strategies. The country has a long and rich history in pearls coming from saltwater oysters and freshwater mussels. The region of Hepu and Behai had active marine pearl fisheries as early as the Han dynasty (3rd century AD). Reports of pearl finds in rivers and lakes date back to the 4th millennium BC. 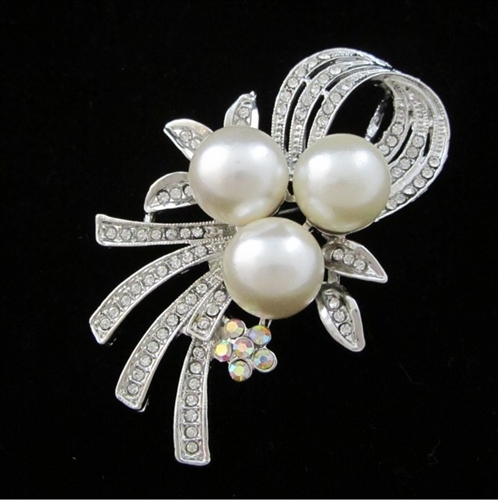 China became the largest worldwide producer of cultured pearls in the 1980s. In 2010, it produced 20 tonnes of marine cultured pearls from the Akoya oyster and a staggering 1500 tonnes of freshwater cultured pearls. In comparison, Australia produced 10 tonnes of South Sea marine cultured pearls in the same year. Chinese cultured pearls have long been associated with mass production, low value and relatively low qualities. Recent developments suggest this is changing. Marine pearl oysters are cultivated in the coastal waters of Guangxi and Guangdong whereas freshwater pearl mussels are farmed in rivers, ponds and lakes in Zhejiang, Jiangsu, Hunan and Anhui provinces. Juvenile oysters and mussels for culture are obtained through hatcheries, reducing the impact on natural populations. Whereas marine oysters can produce one or two cultured pearls at a time, freshwater mussels can produce 30–50 cultured pearls. This also explains why freshwater cultured pearls are so much cheaper. Although very much different in their ecologies and production practices, the waters of these molluscs share common threats and opportunities. As the production of pearls continues to rise and intensify, and rapid economic development increasingly reaches these pearl producing regions, problems — largely of an environmental nature — loom. The vast majority of freshwater mussels are cultivated in old rice paddies that have been excavated and flooded to become artificial lakes (usually 2–3 metres deep) for cultivation. Mussels remain five years in these ponds before they are harvested for their pearls. These ponds are enriched with manure or animal waste to produce as much algae (the phytoplankton food source of mussels) as possible. Filter-feeding carp are added to the ponds, to improve food quality for the mussels. In their symbiotic relationship with the freshwater mussels, the carp filter phytoplankton and prevent potential euthrophication and algal blooms. However, these steps can lead to nutrient impoverishment of soils and waters. In one case in 2007, pearl mussel farming was temporarily banned in Hubei province because of concerns with the levels of manure and fertilizer used in pearl production. In Zhuji, the birthplace of freshwater pearl mussel cultivation, many farmers have either ceased pearl production or shifted production to less polluted waters in central China. On the one hand, freshwater pearl farming requires clean water and is affected by pollution from surrounding activities (e.g., farming, construction, wastewater). On the other hand, it too, if not responsibly managed, can engender ecological problems. As one pearl farmer puts it, “we need to keep a Confucian balance with nature — that is the traditional Chinese way”. In Zhuji (250 km from Shanghai), the birthplace of modern freshwater pearl mussel cultivation, many pearl farmers have either ceased pearl production (for more lucrative alternatives) or shifted production to less densely populated and less polluted waters in central China (e.g., Hunan province). In light of the rapid development of the Zhuji region, government has even begun paying pearl farmers to relocate. Zhuji remains an important pearl centre, as many actors have climbed up the value chain to become traders, wholesalers and jewellery manufacturers. Marine pearl oysters are much more sensitive than their freshwater cousins and the farmers cultivating them are much more aware of issues such as carrying capacity and the influence of external pollution on oysters. A collapse of the ecosystem would also mean the collapse of their livelihoods. And in great contrast to other industries, this becomes immediately apparent because oysters are quick to react. Even slight ecological modifications can have important adverse effects on the oyster’s ability to function and secrete mother-of-pearl. Coastal regions of China have experienced intense economic development, construction and industrialization, and it is here that pearl farms are slowly being forced out. In many cases, local governments’ priorities are large-scale commercial developments. In Daba Bay (Guangdong) high heavy metal concentrations reflect strong and rapid coastal development, associated with a lack of appropriate environmental management. This is affecting marine organisms. In the Beibu Gulf, reports of chemical pollution and elevated antibiotics concentrations reflect intense use — e.g., construction, fish farming, farming, mining, refineries, shrimp farming — of water resources in a region that has a long pearling tradition. A 2003 United Nations Environment Programme study in the Beibu region showed that whilst in 1974 1.25 kg pearls were produced per 10,000 shells, this was only 0.175 kg/10,000 shells in 1999. A primary factor of this change was worsened water conditions. “There is not enough space and natural capital to support a thriving pearl sector and lots of industry in coastal China,” says a pearl farmer in Guangdong province. This does not bode well for the future of Chinese pearls. Marine pearl oysters are more prone to environmental change than freshwater mussels. Marine pearl farmers are already beginning to migrate to cleaner waters in Vietnam, Philippines or Indonesia because of too much pollution in China. The recent global economic crisis had a large effect on the Chinese pearl industry. The overproduction of low-quality freshwater cultured pearls coupled with low demand and spiralling prices for these pearls, has meant that many pearl farmers could no longer cover their production costs. A number of farmers decided to quit the activity choosing to move into more lucrative economic activities (e.g., manufacturing, property development, fish aquaculture). The pearl sector is not only a microcosm of China’s socio-economic rise but is emblematic of the many environmental issues surrounding development. Consolidation of the industry is underway and with it comes the question of how pearl qualities can be improved. The quality of a pearl is defined by the techniques of the farmer and environmental parameters of the host waters. Fundamentally, pearl farmers can improve both pearl quality and profits through cleaner production. Whereas a farmer can choose to adopt sound environmental practices, he is not the master of his destiny in terms of controlling external pollution. Presently, pollution and competition for water resources present more risk for a pearl farmer than the longer-term effects of climate change and ocean acidification. Arguably, local problems can be better quantified and regulated than globally influenced environmental ones. Ultimately, these external sources of pollution can only be regulated and managed at a regional level but this challenges authorities to take these issues more seriously. China has many laws on the books but enforcement in remote areas is difficult and local officials remain beholden to industrial patronage. A recent article put forward that “China’s pearl industry is a microcosm of how the country is moving beyond low-wage jobs and imitating foreign producers”. However, the pressures of rapid industrialization are evident in pearl farming areas of Hunan, Guangxi or Guangzhou. Unconstrained growth and associated consequences might well impede improvements in pearling practices, pearl profits and ultimately the future of the Chinese pearl industry. Pearl farming is characterised by two trends, which are also central to the development trajectory of modern China. Firstly, that quality and profits (of pearls) can only rise through cleaner production and innovation. Secondly, that short-term pollution is bound to have serious long-term consequences. Because pearl molluscs are good environmental indicators, these dynamics become much more visible and evident today. The sector is not only a microcosm of China’s socio-economic rise but also emblematic of many environmental issues surrounding coastal and inland development. The country is set to become the largest jewellery market in the world by 2015. The hope is not only that its millennial pearling tradition can continue to innovate and prosper, but also that its pearls can provide an impetus for raising environmental awareness in China.